It is that elated sense of being, when all of your feelings seem to be resonating not only in your heart, but in every other limb and organ in your body. It's that moment when printed words have the ability to move you beyond a smile, or a chuckle, or a tear. It was The Story of Land and Sea that had me in awe of that literary potential. It was a story that seemed to have been written to only speak to itself, to exist quietly, with no hopes of falling into another's hands-it was that sure of itself. But it did, it not only fell into my hands, but it obliterated my heart with it's emotion, with it's consistent portrayal of loss, and abandonment. Not an uplifting story, but had I not read it, it's absence would have been a tangible thing. We begin in 1793 (officially the furthest back I've experienced in a narrative). 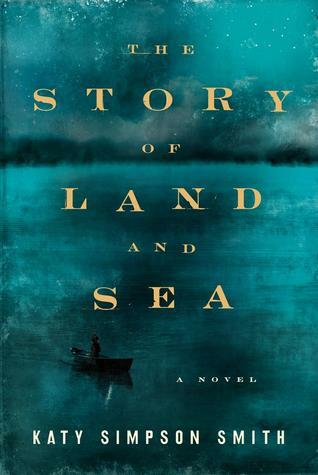 Told in three parts, from different points of view, in different moments in time, The Story of Land and Sea follows a family, and all of the hearts that exist around them, and within them. It is a story of grief, but also one of such love, and longing. It begins with Tabitha and her father John, and continues with wistful descriptions of the sea, memories of Tabitha's deceased and beloved mother Helen, and the hardships no single father should ever endure. In Part Two, we find a young and incredibly mature 10-year-old Helen. There are stronger mentions and implications of religion, as we delve deeper into the mindset of the ghost of a women we met earlier. We also meet Moll, the slave that is "gifted" to Helen on her birthday. This section was definitely the foundation, the area that answered floating questions-it was also the most enjoyable for me. Part Three brings together the people that were most prominent in Helen's life: her father, her husband John, her slave Moll, and Moll's son Davy. The slowest moving section for sure, but not for lack of intense beauty, that of which defines this entire novel. To be honest, the era this book existed in had me doubting it's entertainment value-it's ability to keep me hooked. But hooked I was, though not necessarily on characters and setting, but my GOD, on that writing. The way the author combined a simple string of words, the way those strings then attached themselves to my heart, and pulled whenever it got a chance. I was mesmerized, and caught up in perpetual awe. I urge you to not ignore this book, to pick a place in your heart, or in your home that you feel the most comfort, and experience this book. Recommended for Fans of: Historical Fiction, American Revolution in Fiction, Diana Gabaldon. Katy Simpson Smith was born and raised in Jackson, Mississippi. She attended Mount Holyoke College and received a PhD in history from the University of North Carolina at Chapel Hill and an MFA from the Bennington Writing Seminars. 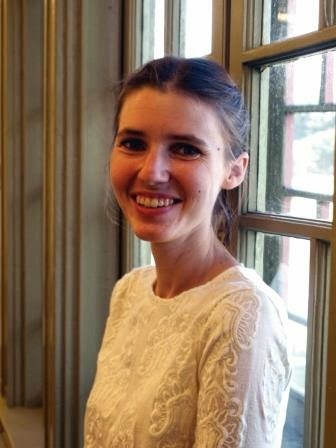 She has been working as an Adjunct Professor at Tulane University and is the author of We Have Raised All of You: Motherhood in the South, 1750-1835. She lives in New Orleans. Great writing is such a treat! I'm so glad you found it with this author.